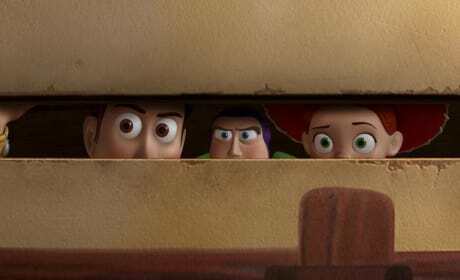 The Toy Story of Terror will be a short film airing on ABC in October. Tim Allen and Tom Hanks will reprise their roles. The Tournament of Movie Fanatic Franchise Bracket kicks off with Toy Story vs. Back to the Future. Which franchise do you think deserves to move on to Round 2? The poster for Toy Story. 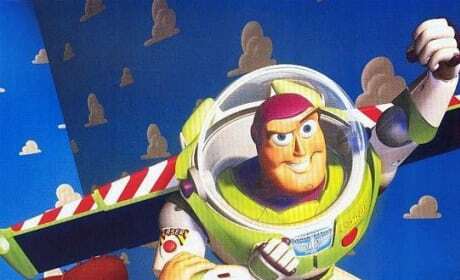 The Pixar film set the standard for animated movies of the late 20th century. 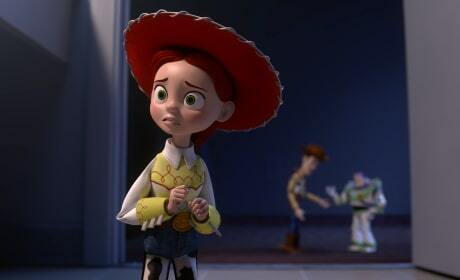 Tom Hanks and Tim Allen in Toy Story 2. 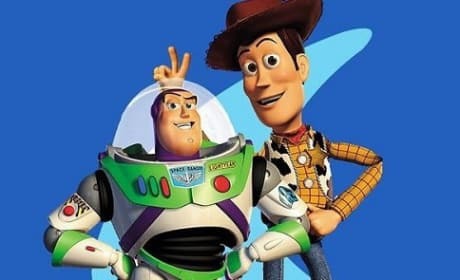 Buzz Lightyear and Woody have their Toy Story adventures continue. 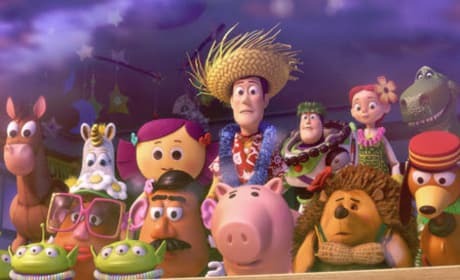 Buzz, Woody and the gang are featured in the new Pixar short film. 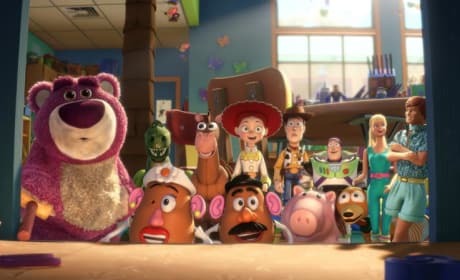 Images from the new Pixar featurette starring the Toy Story gang. 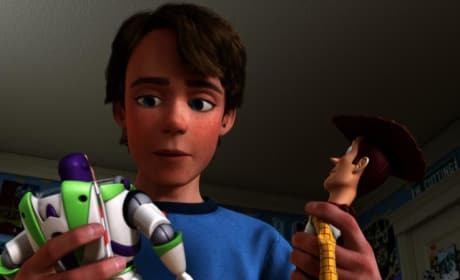 Andy remembers the good times playing with Woody and Buzz. 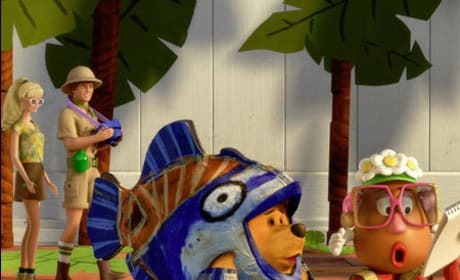 Woody, Jessie and Buzz spy some crucial information about Sunnyside. Glen or Glenda Potato Head? The Potato Heads get all mixed up. When Are You Going to Pack for College? Andy's mom badgers him about his stuff. The toys get a peek at their new storage space at Sunnyside. 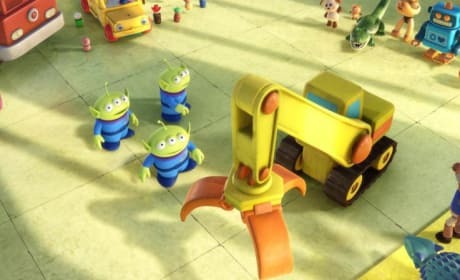 The aliens find a new crane to worship. Tournament of Movie Fanatic Franchises Bracket: Last Chance to Vote for Round 1! 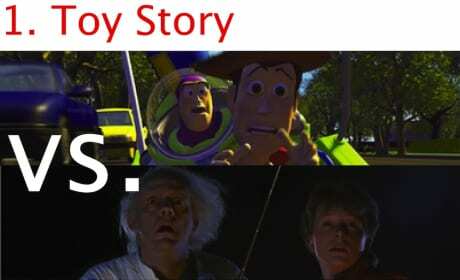 Toy Story vs. Back to the Future: Announcing the Tournament of Movie Fanatic Franchises Bracket! 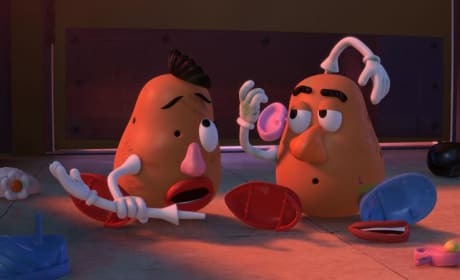 That's *Mister* Potato Head to you, you back stabbing murderer! Buzz: This is no time to panic. Permalink: This is no time to panic. This is a perfect time to panic!